When does title in the ship pass from the shipbuilder to the shipowner? Can the parties agree to change when title will pass? Ukrainian law is applicable to the ship title when the ship is constructed on the territory of Ukraine or when the ship is registered under the Ukrainian flag. Title passes from the shipbuilder to the shipowner at the moment of delivery, unless otherwise as stated in the contract. Parties conclude a specific agreement to verify that one party delivered and the other party accepted the ship in the agreed state and with its agreed equipment. The parties can determine other conditions on the ship title as it passes the preliminary arrangements. What formalities need to be complied with for the refund guarantee to be valid? Refund guarantees are used for shipbuilding contracts. A shipyard may issue a guarantee letter in respect of carrying out the shipbuilding contract. The guarantee letter does not prove the refund guarantee’s validity. The refund guarantee is valid when the correct contract between the debtor, the creditor and the guarantor is concluded. The refund guarantee states the guarantor, which is usually the bank that will make a refund. The ship purchaser must be sure that the guarantor on the refund guarantee is a reputable entity that was officially nominated for the refund guarantee. Are there any remedies available in local courts to compel delivery of the vessel when the yard refuses to do so? The party can turn to the local court when the shipbuilding contract is drawn up in Ukraine or when the defendant is a resident of Ukraine. The party can claim for the expenses incurred owing to the contract non-execution reimbursement. Also, the party can claim to oblige the other party to fulfil the contract in full. Where the vessel is defective and damage results, would a claim lie in contract or under product liability against the shipbuilder at the suit of the shipowner; a purchaser from the original shipowner; or a third party that has sustained damage? The Civil Code of Ukraine regulates contracts within Ukraine. The party may be liable under the regulations of the contract and the law. The risk of accidental damage or destruction passes to the purchaser at the moment of delivery. The seller is obliged to deliver the ship in quality or equipment that is commensurate with the contract conditions. When the contract does not define the ship’s quality, the ship’s state shall be good enough for the contract’s goal. The contract can define the warranty term. The seller is liable for any damage that occurred before the delivery. When the seller and the shipbuilder are separate parties, the purchaser may claim to one of them or both for the damage that was caused before the delivery. The purchaser can claim for the defects for three years after delivery. What vessels are eligible for registration under the flag of your country? Is it possible to register vessels under construction under the flag of your country? Ship registration in Ukraine is regulated by the Merchant Shipping Code and specific legislative acts. Vessels owned by Ukrainian citizens or entities can be registered under the Ukrainian flag. Ukrainian bareboat charterers can also register vessels under the Ukrainian flag. Merchant shipping vessels, fishing boats, tugboats, tankers and passenger vessels may have the right to sail under the Ukrainian flag. Vessels under construction cannot be registered under the Ukrainian flag. Who may apply to register a ship in your jurisdiction? Physical or legal persons registered in Ukraine that own a vessel or act as a bareboat charterer may apply for vessel registration. Representative offices of the foreign companies in Ukraine, or partly foreign entities, may not register a vessel under the Ukrainian flag. We think this situation might change in the near future. What are the documentary requirements for registration? The party shall present an application for the registration. Application forms were approved by the Ministry of Transport and Communication (now known as the Ministry of Infrastructure) on 12 December 2006.
the document confirming cancellation of previous registration. In addition, information on the ship’s function, identification items and photos shall be presented. The bareboat charterer for temporary registry shall apply extra documents such as a copy of charter party, written shipowner’s approval and mortgagee’s approval (if applicable). The document copies must be certified by a notary or other authorised entity. Is dual registration and flagging out possible and what is the procedure? Ukraine does not recognise foreign registration if a vessel is already registered in Ukraine and the registration was not cancelled properly. Dual registration is possible for a vessel that is registered for the validity of bareboat charter providing that the foreign jurisdiction allows dual registration for the vessel. Who maintains the register of mortgages and what information does it contain? According to Ukrainian law, a vessel is under the immovable property regime, but maritime mortgages are registered in the State Registry of Encumbrances of Movables. the register identification and date of registry. What limitation regime applies? What claims can be limited? Which parties can limit their liability? Ukraine is not a party to the Convention for Liability for Maritime Claims 1976. However, Chapter 1 of section X of the Merchant Shipping Code stipulates limitation of the owner’s liability. Remuneration to which a party may be entitled in relation to the death or injury of a third party (including passengers or crew) or damage to the property shall be limited by article 352 of the code. more than 70,000 tonnes: 167 SDR. more than 70,000 tonnes: 83 SDR. What is the procedure for establishing limitation? Ukraine is not party to the International Convention on the Establishment of an International Fund for Compensation for Oil Pollution Damage 1971. The Merchant Shipping Code stipulates funds such as the emergency pilotage fund, the emergency maritime navigation department fund and a fund for liability limitation provision. For claims arising from marine casualties caused by a pilot, the Code stipulates that such claims shall be covered by an emergency pilot’s fund. Such a fund corresponds to 10 per cent of all pilot’s charges received in the preceding year. However, for claims arising from the maritime navigation department’s pilot’s actions, remuneration shall be limited to the emergency maritime navigation department fund, according to article 114 of the Merchant Shipping Code. The amount in the emergency maritime navigation department fund corresponds to 10 per cent of all charges received in the preceding year. If there is nuclear damage, the liability of the nuclear vessel operator shall be limited by the fund for liability limitation provision: 99.75 million SDR, including court charges. In what circumstances can the limit be broken? Has limitation been broken in your jurisdiction? The liability limit cannot be broken because the law states the limit. The stated liability limit is not applicable in some cases. The carrier’s liability for cargo loss shall not be limited, when it was proven that the loss resulted from the carrier’s negligence, oversight, recklessness, self-assurance and omission. The insurer shall pay above the insurance payment in case of general average. The liability limitation of a nuclear vessel operator is not applicable when the vessel exploitation was not approved by the country of flag. Article 351 of the Merchant Shipping Code stipulates the general rules when the limitation of liability is not applicable. What limitation regime applies in your jurisdiction in respect of passenger and luggage claims? the specified port of departure or port of destination being located in Ukraine. The carrier is liable for death or any injury of any passenger resulting from an action which happened during the carriage and was caused by the fault or negligence of the carrier or its employees. In cases of damaged or missing luggage, the carrier is entitled to prove its innocence in order not to be charged a remuneration payment. In respect of a passenger’s death or an injury claim, remuneration payment shall be limited to 175,000 SDR. In respect of damaged or missing cabin luggage, the carrier’s liability shall be limited to 1,800 SDR for one piece of passenger property. Article 194 of the Merchant Shipping Code also permits higher liability limitations to be determined in written form, signed by the carrier and the passenger. Which body is the port state control agency? Under what authority does it operate? The State Service of Ukraine for Transport Safety provides state control for land, maritime and water transport and is subordinated to the Ministry of Infrastructure of Ukraine. The State Service of Ukraine for Transport Safety acts on behalf of the State Service of Ukraine for Transport Safety Statute, approved by the government on 11 February 2015, providing port state control’s functions on the basis of the rules on ship control for the safety of navigation provision approved by the Ministry of Transport of Ukraine on 17 July 2003. What sanctions may the port state control inspector impose? to impose administrative sanctions (eg, fines, property expropriation). What is the appeal process against detention orders or fines? Sanctions imposed by the port state control may be appealed to the harbour master or to the local administrative court. Pleading to the harbour master is faster and more effective. The court trial has stated procedure terms and it takes time to execute the court’s decision practically. Which are the approved classification societies? Hellenic Register of Shipping (Greece). The significant change is that the Russian Maritime Register of Shipping is not approved by the Shipping Register of Ukraine. In what circumstances can a classification society be held liable, if at all? The liability of classification societies is not stipulated by Ukrainian law. The classification society can be liable for criminal negligence, omission or fraud that caused significant damage in theory. Can the state or local authority order wreck removal? The local authority is not authorised to remove a wreck that is defined as military property, culture or of architecture value. The owner of the sunken property is obliged to apply to the local harbour master to approve the procedure for wreck removal. The harbour master states reasonable terms to remove the wreck. In the case of owner inaction within one year from the day of the sinking, the wreck becomes state property. The owner of the sunken property is obliged to liaise with the harbour master immediately and remove the wreck if it presents an obstacle to merchant shipping, marine works, hydrotechnical or other works; or is a threat to human life, health or the environment. If the owner fails to remove the hazardous property, the Administration of Sea Ports is authorised to remove the wreck at the owner’s cost. Which international conventions or protocols are in force in relation to collision, wreck removal, salvage and pollution? Ukraine is a party to the International Convention on Civil Liability for Oil Pollution Damage from 4 July 2002. Specific methods of calculating damage caused by oil pollution were enacted. A new method of calculating oil pollution damage has not been produced yet. On 22 March 2017, Ukraine became party to the International Convention on Salvage 1989.
when the object of the salvage is of cultural, prehistoric, historic or archaeological value. Ukraine is a party to the Agreement on Co-operation Regarding Maritime Search and Rescue Services Among Black Sea Coastal States 1998, which was ratified on the 28 November 2002. The agreement regulates the procedure of joint salvage operation execution. Is there a mandatory local form of salvage agreement or is Lloyd’s standard form of salvage agreement acceptable? Who may carry out salvage operations? 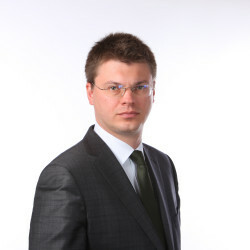 Ukrainian law does not stipulate a mandatory local form of salvage agreement. The Lloyd’s standard form of salvage agreement is acceptable in Ukraine. In general, the Standard Form of Salvage Agreement approved by the Maritime Arbitration Commission at the Ukrainian Chamber of Commerce and Industry is used in Ukraine. According to the Law on the Sea Ports of Ukraine, only state enterprises shall execute emergent salvage procedures. The Maritime Search and Rescue Service was established in order to fulfil Ukrainian obligations under international treaties in which Ukraine is a party, by Resolution of Cabinet of Ministers of Ukraine, 20 October 2011. The stated goal of the Maritime Search and Rescue Service is to support the further development of a national system of maritime search and rescue within Ukraine’s region and to coordinate and undertake air and sea search and rescue operations. Which international convention regarding the arrest of ships is in force in your jurisdiction? Ukraine ratified the International Convention Relating to the Arrest of Sea-Going Ships 1952 (Brussels Convention), which came into effect in Ukraine on 16 May 2012. However, the International Convention on the Arrest of Ships of 1999 does not apply to Ukrainian ship arrest procedures. In respect of what claims can a vessel be arrested? In what circumstances may associated ships be arrested? Can a bareboat (demise) chartered vessel be arrested for a claim against the bareboat charterer? Can a time-chartered vessel be arrested for a claim against a time-charterer? Any vessel sailing under the Ukrainian flag or is located at a Ukrainian port can be arrested in respect of a maritime claim under the Brussels Convention and the Merchant Shipping Code. Article 42 of the Merchant Shipping Code stipulates that a maritime claim is a claim connected to the vessel’s ownership, building, managing, exploitation or commercial use, maritime lien, salvage, etc. The ship may be arrested in Ukraine exclusively by the court that is regulated by the Commercial Proceeding Code of Ukraine and the Civil Proceeding Code of Ukraine. Requirements for an application for ship arrest in respect of a maritime claim are defined in part 3 of article 151 of the Civil Proceeding Code of Ukraine and part 3 of article 139 of the Commercial Proceeding Code of Ukraine. the name of the ship to be arrested and other known information on the ship. The court reserves the right to demand other documents to investigate the matter of the maritime claim. The civil proceeding law of Ukraine and commercial proceeding law of Ukraine do not stipulate the status of the bareboat charterer or time-charterer. Under the part 4 of article 3 of the International Convention Relating to the Arrest of Sea-Going Ships 1952, when in the case of a charter by demise of a ship the charterer and not the registered owner is liable in respect of a maritime claim relating to that ship, the claimant may arrest such ship or any other ship in the ownership of the charterer by demise, subject to the provisions of the convention, but no other ship in the ownership of the registered owner shall be liable to arrest in respect of such maritime claim. The provisions of this paragraph shall apply to any case in which a person other than the registered owner of a ship is liable in respect of a maritime claim relating to that ship. This article is applicable to the cases adjudicated in Ukraine. Under the process of the application for ship arrest in respect of a maritime claim the Ukrainian court shall define the necessity and the grounds of the arrest. Generally, it is possible to apply for an arrest in respect of the claim against a demise charterer or time-charterer, but there is a lack of court practice on such cases. Does your country recognise the concept of maritime liens and, if so, what claims give rise to maritime liens? Ukraine recognises the concept of maritime liens. The following claims give rise to maritime liens: payments in respect of crew members and claims arising out of the death or injury incurred in connection with the vessel’s exploitation. What is the test for wrongful arrest? Article 6 of the Brussels Convention states that Ukrainian law is applicable to the wrongful arrest definition when the arrest procedure has been initiated in Ukraine. The Ukrainian Proceeding Law defines ship arrest as a preventive measure to get security on the claim. In the case of a ship arrest cancellation or the claim refusal, the party that incurred the loss that resulted from the ship arrest may apply to the court for a reimbursement. Can a bunker supplier arrest a vessel in connection with a claim for the price of bunkers supplied to that vessel pursuant to a contract with the charterer, rather than with the owner, of that vessel? the debtor’s ship is berthed in Ukraine or sails under the Ukrainian flag. When the charterer is liable for the maritime claim according to the charter party and at the moment of initiation of the ship arrest procedure the charterer still operates the vessel, such vessel shall be arrested. Will the arresting party have to provide security and in what form and amount? The court may request the arresting party to provide security in an amount sufficient to cover all expenses and losses resulted from the ship arrest. Security shall be provided in bank guarantee or monetary form. According to court practice, the arresting party does not provide security because it can be stated as a limitation of a right for trial. How is the amount of security the court will order the arrested party to provide calculated and can this amount be reviewed subsequently? In what form must the security be provided? Can the amount of security exceed the value of the ship? The debtor on the maritime claim can apply to court for a change in the measure to obtain security for a maritime claim when a ship is under arrest. The amount of the security is defined by the court. Ukrainian courts are not obliged to use the principle of proportion with the ship value for maritime claims. The security can exceed the value of the ship when the claim exceeds it. The party shall transfer the security to the court’s bank account or present a sufficient bank guarantee. Ukrainian courts practically recognise bank guarantees as an appropriate form of security for a maritime claim. However, courts give priority to the bank guarantees issued by Ukrainian banks. In most instances, Ukrainian courts do not accept letters of undertaking issued by protection and indemnity clubs. What formalities are required for the appointment of a lawyer to make the arrest application? Must a power of attorney or other documents be provided to the court? If so, what formalities must be followed with regard to these documents? evidence that the party responsible for the maritime claim owns or manages the ship. The party must present to the court all documents that prove the facts stated in the application. In addition, documents that prove the powers of the lawyer must be presented. Power of attorney, attorney agreement and order of attorney prove the lawyer’s powers in the proceeding. All documental evidence and other attachments must be legalised, translated into Ukrainian and certified by a licensed translator or a notary. Ukraine is a party to the Hague Convention Abolishing the Requirement of Legalisation for Foreign Public Documents 1961. Sufficient apostille is enough for the foreign document legalisation. The document translation shall be made by the professional translator and certified by the translator’s bureau. The court may demand to present a translation certified by a notary. All documents presented to the court shall be copies certified by an attorney or notary. The court may demand to present the original documents. Relevant documents can be filed electronically through the state’s electronic court system. The term of drafting the application depends on the time needed for the translation. An application for ship arrest can be prepared within two days. Who is responsible for the maintenance of the vessel while under arrest? The shipowner, or the party that operates the vessel, is responsible for the maintenance of the vessel under arrest. Must the arresting party pursue the claim on its merits in the courts of your country or is it possible to arrest simply to obtain security and then pursue proceedings on the merits elsewhere? The arresting party shall present the claim for adjustment to the court, tribunal or arbitration, where the claim could or should be considered within 30 days of the ship arrest. The court shall cancel the ship arrest if the claim is not presented in time. Apart from ship arrest, are there other forms of attachment order or injunctions available to obtain security? The claimant may receive the security for the claim, such as property or seizure of finances, and the obligation for a person to stop or execute specific actions, etc. Ship arrest is the only security measure stated specifically in respect of a maritime claim. Are orders for delivery up or preservation of evidence or property available? It is possible to preserve evidence or property in a Ukrainian court proceeding. The party shall apply to the court for evidence provision, when the party is unable to get access to the evidence. The application on the evidence preservation may be made to the court before the actual claim registration. Is it possible to arrest bunkers in your jurisdiction or to obtain an attachment order or injunction in respect of bunkers? It is possible to arrest bunkers in Ukraine. Theoretically, any property located in Ukraine may be arrested by the court. Who can apply for judicial sale of an arrested vessel? What is the procedure for initiating and conducting judicial sale of a vessel? How long on average does it take for the judicial sale to be concluded following an application for sale? What are the court costs associated with the judicial sale? How are these costs calculated? The judicial sale of the vessel shall be public and accessible. all holders of the vessel’s encumbrances issued to the bearer and that have not been issued to the bearer. The written notice shall inform the person of the time and place of the judicial sale. When the list of concerned persons is uncertain, an announcement in the central state newspaper shall be made. The court duty is 1 per cent of the amount of the claim. What is the order of priority of claims against the proceeds of sale? claims connected to the freight payment. What are the legal effects or consequences of judicial sale of a vessel? After the judicial sale of a vessel, all encumbrances that were not received by the purchaser are invalid in the country of sale. Costs incurred in connection with the vessel arrest and judicial sale shall be reimbursed out of the vessel’s value. The purchaser receives the title to the vessel. Will judicial sale of a vessel in a foreign jurisdiction be recognised? The judicial sale of a vessel in a foreign jurisdiction shall be recognised in Ukraine when the judicial sale’s order and effects do not violate the public order and interests of Ukraine. Is your country a signatory to the International Convention on Maritime Liens and Mortgages 1993? Ukraine ratified the International Convention on Maritime Liens and Mortgages 1993 on 22 November 2002. Are the Hague Rules, Hague-Visby Rules, Hamburg Rules or some variation in force and have they been ratified or implemented without ratification? Has your state ratified, accepted, approved or acceded to the UN Convention on Contracts for the International Carriage of Goods Wholly or Partly by Sea? When does carriage at sea begin and end for the purpose of application of such rules? Ukraine has not ratified the Hague Rules, Hague-Visby Rules or Hamburg Rules. Ukraine is not a party to the UN Convention on Contracts for the International Carriage of Goods Wholly or Partly by Sea. Carriage at sea begins from the moment of loading and ends with the cargo being discharged. Are there conventions or domestic laws in force in respect of road, rail or air transport that apply to stages of the transport other than by sea under a combined transport or multimodal bill of lading? The are no laws specifically regulating combined transport or multi­modal bill of lading. The Transport Act is the main law regulating Ukrainian transport in general. Who has title to sue on a bill of lading? To what extent can the terms in a charter party be incorporated into the bill of lading? Is a jurisdiction or arbitration clause in a charter party, the terms of which are incorporated in the bill, binding on a third-party holder or endorsee of the bill? Charter-party terms may be incorporated into the bill of lading when the bill of lading includes a note on it. Is the ‘demise’ clause or identity of carrier clause recognised and binding? The demise clause and identity-of-carrier clause are not recognised or binding. Are shipowners liable for cargo damage where they are not the contractual carrier and what defences can they raise against such liability? In particular, can they rely on the terms of the bill of lading even though they are not contractual carriers? When the shipowner is not a contractual carrier, he or she is not liable for cargo damage. The shipowner is liable when it is proven that his or her malicious action or inaction resulted in the cargo damage. What is the effect of deviation from a vessel’s route on contractual defences? If a vessel’s route deviation resulted from wrongful action by the carrier or a crew member, it shall be considered as contract violation. What liens can be exercised? The carrier may execute the lien right at the port of arrival when the freight is not paid in time. The cargo shall be maintained by the carrier on the vessel or in the warehouse at the port of arrival. The carrier has the lien right as long as he or she possesses the cargo. The lien right is the natural right of the carrier and may not be stipulated in the charter party. The vessel, cargo or freight may be the lien when the lien is commensurate with the claim. What liability do carriers incur for delivery of cargo without production of the bill of lading and can they limit such liability? If the cargo value is not declared in the bill of lading, the carrier’s liability for damaged or lost cargo shall be limited to 666,67 units of account or two units of account per kilogram of gross mass of the cargo, whichever sum is greater. What are the responsibilities and liabilities of the shipper? The shipper’s responsibilities and liabilities may be stated by the law and by the contract. The Merchant Shipping Code defines the shipper’s status. carriage of cargo without losses, delays and deficiencies carriage. Is there an emission control area (ECA) in force in your domestic territorial waters? Maritime ecological inspectors control the emission’s regime in Ukraine’s domestic and territorial waters, contiguous zone and exclusive economic zone. The control is aimed at preventing pollution from oil, noxious liquids and waste material. What is the cap on the sulphur content of fuel oil used in your domestic territorial waters? How do the authorities enforce the regulatory requirements relating to low-sulphur fuel? What sanctions are available for non-compliance? The International Convention for the Prevention of Pollution from Ships (MARPOL) 1973, as modified by the 1978 Protocol, came into force for Ukraine on 25 January 1994. Annex VI, Regulation 14 (1.2) of MARPOL stipulates that the content of sulphur in bunker fuel shall not exceed 3.5 per cent m/m. Any vessel arriving in Ukrainian ports that violates the rules on sea pollution shall be detained and fined by the port state control authority. What domestic or international ship recycling regulations apply in your jurisdiction? Are there any ship recycling facilities in your jurisdiction? Ukraine is not a party to the Hong Kong International Convention for the Safe and Environmentally Sound Recycling of Ships. Ukrainian law does not contain specific acts aimed to regulate the procedure of ship recycling. There are no Ukrainian enterprises specialising in ship recycling. Which courts exercise jurisdiction over maritime disputes? There are no specialised maritime courts in Ukraine. The Ukrainian court system is divided into general, administrative, criminal and commercial branches. Maritime claims arising from labour and civil relations are heard in general courts. Maritime claims arising from commerce are heard in commercial courts. Claims arising from regulation violations and criminal law are heard in administrative and criminal courts. The Ukrainian legal system does not state a special procedure for maritime claims proceedings, but the procedure of the ship arrest in respect of the maritime claim is stipulated by the Civil Proceeding Code of Ukraine and Commercial Proceeding Code of Ukraine. In brief, what rules govern service of court proceedings on a defendant located out of the jurisdiction? If the defendant or other participant of the proceeding is a foreign entity or foreign person, the proceeding is defined as ‘proceeding with a foreign participant’. According to the Commercial Proceeding Code of Ukraine and the Civil Proceeding Code of Ukraine, foreign defendants have the same rights and liabilities as Ukrainian residents. The Ukrainian Act ‘On the International Private Law’, defines the applicable law in relations where one of the parties is a foreign entity or foreign person. Is there a domestic arbitral institution with a panel of maritime arbitrators specialising in maritime arbitration? The Maritime Arbitration Commission at the Ukrainian Chamber of Commerce and Industry (MAC) is a permanently functioning arbitral institution that settles maritime claims. MAC settles disputes arising from contractual and other civil law relationships in the area of merchant shipping, irrespective of whether the parties to a relationship include both Ukrainian and foreign entities, or whether the parties are only Ukrainian entities or only foreign entities, in accordance with article 2 of the Statute on the Maritime Arbitration Commission at the Ukrainian Chamber of Commerce and Industry. What rules govern recognition and enforcement of foreign judgments and arbitral awards? Foreign judgments may be recognised and enforced in Ukraine according to international and national regulations. As a successor to the Union of Soviet Socialist Republics, Ukraine is a party to the UN Convention on the Recognition and Enforcement of Foreign Arbitral Awards 1958 (New York Convention). Foreign judgments may be enforced according to Chapter VIII of the Civil Proceeding Code of Ukraine. Ukrainian general courts are competent to adjust an application on foreign judgment recognition and enforcement. Are asymmetric jurisdiction and arbitration agreements valid and enforceable in your jurisdiction? Ukrainian law does not stipulate the validity and status of asymmetric jurisdiction and arbitration agreements. According to its aim, asymmetric jurisdiction and arbitration agreements contradict to main principle of the Ukrainian proceeding law on the equality of parties. Therefore, we do not recommend turning to a Ukrainian court to enforce an asymmetric jurisdictional or arbitration agreement. What remedies are available if the claimants, in breach of a jurisdiction clause, issue proceedings elsewhere? There are no remedies available if the claimant issues the proceeding elsewhere in breach of a jurisdiction clause. When the matter must be adjusted exclusively by the Ukrainian court according to the Ukrainian law regulations, the foreign judgment shall not be recognised or enforced in Ukraine. What remedies are there for the defendant to stop domestic proceedings that breach a clause providing for a foreign court or arbitral tribunal to have jurisdiction? Ukraine is a party to the New York Convention. According to part 3, article 2 of the convention, when the court receives a claim in respect of which the parties made an arbitral agreement or jurisdiction clause, it shall, at the request of one of the parties, refer the parties to the defined arbitration, unless the court defines an arbitral agreement or jurisdiction clause as invalid. What time limits apply to claims? Is it possible to extend the time limit by agreement? The general limit applied to claims is three years. The time limit may be extended with the parties’ written agreement. The claim limit stated by the law cannot be shortened by the written agreement. May courts or arbitral tribunals extend the time limits? The court or arbitral tribunal cannot extend the time limits. The party that missed the time limit may apply to the court for a time limit renovation. If the court considers the time limit was missed on reasonable grounds, such as severe illness or official assignment, it renovates the time limit. How does the Maritime Labour Convention apply in your jurisdiction and to vessels flying the flag of your jurisdiction? Ukraine has not ratified the Maritime Labour Convention. The Ukrainian authorities are not ready to correspond with the convention’s demands. However, in practice, many Ukrainian shipowners and seafarers try to meet the convention’s regulations in order to work in the international market. Is it possible to seek relief from the strict enforcement of the legal rights and liabilities of the parties to a shipping contract where economic conditions have made contractual obligations more onerous to perform? Article 652 of the Civil Code of Ukraine stipulates that a significant change of a contract’s circumstances are grounds for the contract change or termination. The parties may agree to change the contract’s conditions according to the new circumstances. the contract regulations and commercial customs do not constitute a liability risk for any party. The court may change the contract’s conditions when the significant change of the contract circumstances results in public interest a threat or severe material losses of the parties. Are there any other noteworthy points relating to shipping in your jurisdiction not covered by any of the above? Ukrainian judges support the uniformity of court practice. To direct judges in unregulated matters, the Supreme Commercial Court of Ukraine and the Supreme Specialised Court of Ukraine enact letters of recommendation and explanation. Therefore, before initiating the ship arrest procedure, court practice shall be studied. However, Ukraine does not accept precedents as a source of law. Court practice does not bind a judge. Claimants may use letters of recommendation and explanation issued by the Supreme Commercial Court of Ukraine and the Supreme Specialised Court of Ukraine references for their disputation. The court may enact a decision that does not correlate with general court practice and use letters of recommendation and explanation when a specific case has significant differences from previous cases. On 17 January 2018 the government enacted a decree on the establishment of a maritime administration. An appropriate public entity will start work from 1 August 2018. The Ministry of Infrastructure of Ukraine has initiated the procedure of ports concession. Traditionally all merchant shipping ports in Ukraine were recognised as state property. In March 2018, the Ministry of Infrastructure announced the start of pilot projects regarding the concession of the merchant shipping ports Olvia and Kherson. The President of Ukraine authorised the Minister of Infrastructure to sign a memorandum of cooperation between Ukraine and the International Maritime Organization in May 2018. 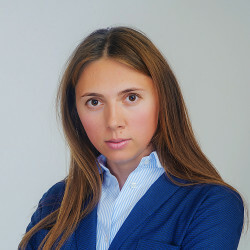 BLACK SEA LAW COMPANY was established in 2008 and has rapidly gained a major share of the legal market, becoming one of the leading maritime law firms in Ukraine.